Are you sure your aerial lift or scissor lift is properly maintained? As per the latest OSHA requirements, you must keep a regular maintenance schedule with all of your industrial equipment. Maintenance is one of the most important aspects of safe scissor lift and aerial lift operation. If you follow a regular lift maintenance schedule, you reduce the chance of accidents and injuries on the job. Lift maintenance helps ensure all scissor lift components, aerial lift safety devices, and other parts are working properly. Even if you’re a safe aerial lift operator or experienced scissor lift worker, you’ll have problems operating your equipment without an OSHA-compliant lift maintenance schedule. Since aerial lifts and other aerial work platforms (AWPs) are sometimes used less frequently than machines like forklifts, many companies think it’s okay to relax on lift maintenance. That’s not the case. 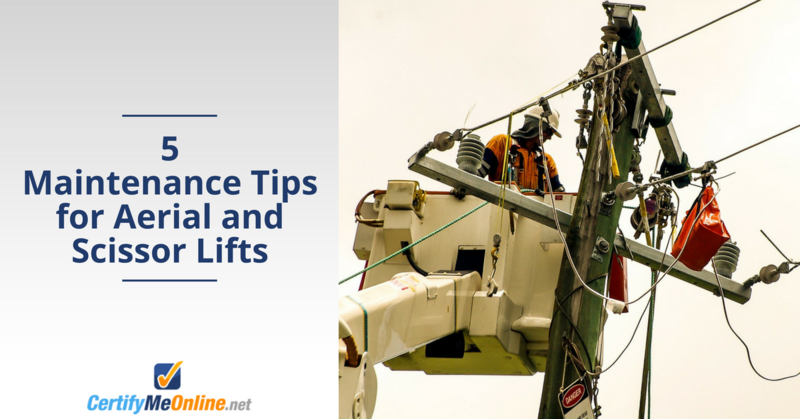 Given the sheer height of some lifts, proper maintenance on aerial lifts is in some ways even more imperative. If something goes wrong 75 feet up in the air, serious injury or even death could result. If your company doesn’t have a lift maintenance plan, you should notify your supervisor immediately. OSHA requires that every company operating scissor lifts, aerial lifts, and other aerial work platforms (AWPs) to implement a regular lift maintenance plan. What are the specific OSHA guidelines regarding aerial lift and scissor lift maintenance, and what are some things you can do to ensure your scissor lift components and other aerial lift mechanisms are working properly? What Does OSHA Say About Aerial and Scissor Lift Maintenance? Under their Aerial Lift Safe Work Practices, OSHA says that all employers and operators must maintain and operate elevating work platforms according to the manufacturer’s instructions. But that’s not very specific. OSHA also has a handy worksheet all about aerial lift and scissor lift safety that can be used to understand how proper lift maintenance and other practices can be used to prevent accidents. Performing pre-start inspections before every shift can allow operators to catch any potential hazards with the equipment and get them fixed before a malfunctioned aerial or scissor lift could cause an accident. Daily inspections are meant to catch issues with the various components of the lift to supply personnel with the most up-to-date information on lift maintenance needs. If any of the lift or vehicle components are defective, missing, or damaged in any way, a qualified personnel must take the aerial lift out of active duty immediately for lift maintenance and repairs. If any of the work zone hazards are present, corrective action must be taken to remove the hazard or put up barriers to keep all equipment at a safe distance. Conduct regular fluid checks. 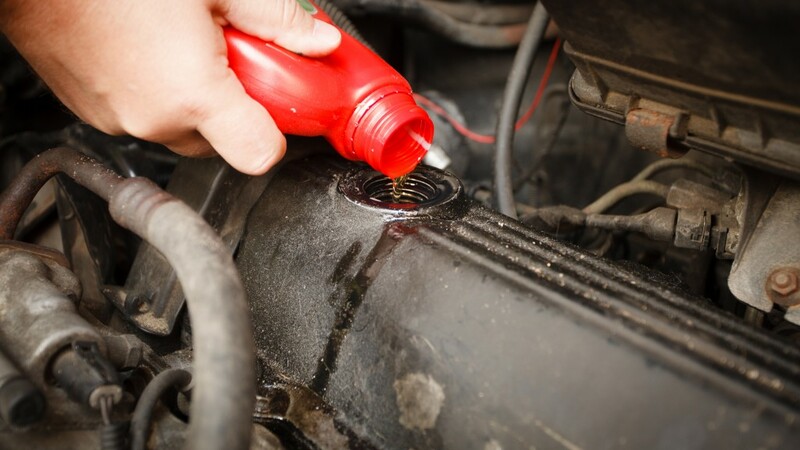 This means oil, gas, hydraulic fluid, brake fluid and more. Many lift mishaps are the result of improper fluid levels. Just like your car requires regular oil and fluid checks, so do aerial lifts and scissor lifts! Check tire pressure, if necessary. Especially, for outdoor operations, your tires are crucial. Just one under-inflated tire could compromise safety. Ensure personal safety equipment is available. Hats, gloves, harnesses – if normal lift operations require a piece of equipment, make sure it’s always on hand. Examine your lift after every job. Get in the habit of a quick yet concise inspection after every job. This ensures that small problems don’t transform into big ones. Put it in writing. Once you’ve done routine lift maintenance, keep your records in a log. This document is required, should your lift be involved in an accident. If you can’t prove regular maintenance to OSHA, you could possibly be looking at increased fines and further legal action. For example, if your maintenance plan detects a problem with certain scissor lift components and they’re responsible for an accident, you need to document why it happened. Remember: with a responsible & regular maintenance program, scissor lift components, aerial lift safety accessories, and other devices are less likely to fail during normal operation. Maintenance is critical for overall aerial lift safety, and so is proper training. That’s why CertifyMeOnline.net is the best option for increasing on-the-job safety. Our convenient, OSHA compliant scissor lift and aerial lift training courses review important OSHA guidelines – including maintenance for scissor lift components – so you’ll know exactly what goes into a safe workplace. Can Aerial Lift and Scissor Lift Training Improve Lift Maintenance? One of the best ways to prevent aerial lift-related accidents in the workplace is through trained operators. Since the majority of injuries and fatalities involving lifts are due to operator error, adequate safety education is the most effective way to keep the workplace safe. With aerial lift training, workers can recognize and avoid hazards and understand how to perform thorough equipment inspections for the most efficient lift maintenance. When aerial lifts aren’t properly taken care of and maintained, the risk of accidents significantly increases and may lead to preventable injuries, equipment damage, and deaths in your workplace. CertifyMeOnline.net is the number one leader in online aerial lift training. Our courses have been used by companies all over the United States to train employees on the most up to date operational methods, how to avoid hazards to prevent accidents, and how to perform inspections and adequate lift maintenance to keep workers safe and protect your investments. Our combination of OSHA-compliant training and affordable value can’t be beat. At only $75 for aerial lift and scissor lift training, operators will have 24/7 online access to all the knowledge and tools they need to drive aerial lifts and scissor lifts safely. See why CMO is #1 for lift maintenance awareness and safety training. Check out the Certify Me Online contact page for more information, or call our OSHA aerial lift safety experts at (602) 277-0615. This post was originally published in 2015 and updated in 2018 to include more lift maintenance information.